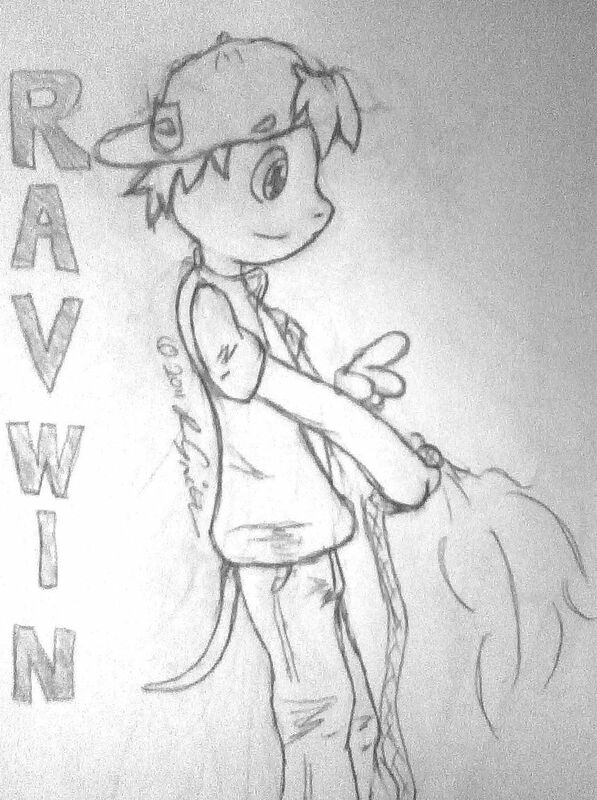 Just one of few characters whom I eventually molded together to create Azlynn, Ravwin was the first. As I remember right, he was originally a human hybrid of an unnamed reptilian species, whose original role was to be kidnapped (in order to give rise to an even greater plot). Once I discovered that it is scientifically impossible to blend mammal and reptile DNA in order to create a living being, I abandoned this story and subsequently Rav himself. This drawing is based off of an older piece I did back in 2000.